Connect with an entire region with a single domain. The .asia Top-Level Domain (TLD) is an ICANN-sponsored domain extension that represents the Asia-Pacific region. A .asia domain gives you exposure to the region as a whole, as opposed to individual countries, such as a .JP or .CN domain extension. This is particularly useful for companies that conduct business in different Asian countries. Securing a .asia domain gives you regional recognition, makes it easier to manage your Web presence, and increases your exposure to the growing number of Internet users in the Asia-Pacific region. .asia is available to individuals, businesses, organizations, and community groups, as long as one of your contacts lives in the Asia-Pacific region. What can a .asia do? Help you reach millions of Internet users in Asia with a combination of global recognition and regional significance. Give your company, organization or event an online identity with an Asian flavor. Increase affinity with Asian customers. Asian community has common interest with the word “Asia” and has a very good sense of belonging of being part of Asia and your business can have a strong identity within the Asian community. Build trust in customers from fastest growing Asia markets such as China, Singapore, India & other Southeast Asia nations and increase the sales conversion rate of your business in Asia. Protect your company brand from being misused by third parties & improve search engine rankings for searches related to Asia so you can expose your website to greater reach across Asian population and at the same time have a protected and recognizable branding. Your competitors may steal your business. Someone may cybersquat on your domain and sell it back to you at a much higher price in the future. The domain owner may ruin your business by publishing illegal or nasty content with your domain. Your branding and business reputation may be adversely affected. Loss of potential clients, web traffic, market & reputation. 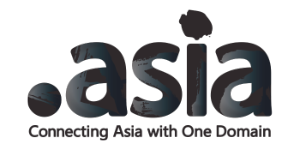 .ASIA is a Domain Extension sponsored by DotAsia Organisation. It is also a regional domain for companies, organizations and individuals that specifically have a target demographic market based in Asia, Australia, and the Pacific. Who would want a .Asia Domain? .ASIA is a short, highly recognizable phrase focused on Asia identity with a clear and lasting value. The name value for .ASIA is especially notable for the thriving SMEs in the region, judging from the fact that many have continued to expand beyond their local market by tapping into the power of the Internet as a platform for rapid growth. .Asia based events, such as Asian Games, ITU Telecom Asia, etc. Local companies expanding to the Asia regional market and Asia headquarters or subsidiaries of global companies. NGOs and non-profit organizations based in Asia such as APNIC, APNG, etc. Regional Asia media: newspapers, magazines, TV channels such as Asian Wall Street Journal, Channel News Asia, etc. Asia focused businesses: Air Asia, JetStar Asia, Aero Asia, etc. Why do we need .Asia Top Level Domain (TLD)? .ASIA TLD fulfils the market needs to have a REGIONAL DOMAIN that improves international recognition and regional competitiveness in a growing community. Asia with over 60% of the world’s population is a region that is experiencing extensive economic and technical growth. A special and dedicated domain can help players in the region to cement a common regional ONLINE IDENTITY and realize their potential. As the SME makes up the largest and fastest growing segment of the market in most cases, it is strongly believed that it will benefit most from the market-expanding potential of a regional .ASIA domain. Who are the initiators of .ASIA initiative? How did it get started? The beginnings of the .ASIA initiative can be traced back to several major discussions began in 2000 to establish a regional TLD “.AP“. It was quickly identified that there are many regional organizations in the Pan-Asia and Asia-Pacific region. Next, ICANN announced a Request For Proposal (RFP) for Sponsored Top Level Domain Names in 2003. The formation of DotAsia is a community-based initiative that was not created / mandated by any government. It was instead a grassroots initiative supported by a diverse range of well-established organizations in the region. Who can register names under .Asia TLD? Legal entities within the Pan-Asia and Asia-Pacific region (defined by ICANN as Asia/Australia/Pacific region; Read more.) can register names under .ASIA TLD. The .ASIA domain can be used by individuals, businesses, organizations as well as community groups. Will .Asia offer IDN services? Yes. .ASIA will launch ASCII domain name services first. Next, it will launch IDN services step by step, language by language, strictly following the IDN standards of IETF and IDN guidelines issued by ICANN. Can I register 1 or 2 character .ASIA domains? Currently, only 3 characters or more .ASIA domains (ie. abc.asia) are available for registrations. In August 2011 DotAsia submitted request to ICANN for the release of 1 and 2 character names such as ‘xy.asia’. This request was approved on Feb 29, 2012. DotAsia is working with our channel partners to release these names. If you’d like to stay updated on the release of these names please write to us. Do I have to live in Asia to get a .ASIA domain? No, a regional address is not mandatory when registering a .ASIA domain. However, depending on the range of service provided by your registrar of choice, you may be asked to provide a Charter Eligibility Declaration (CED) contact or a Charter Eligibility Administrative (CEA) Contact.